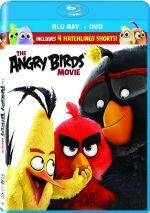 This package includes both 2D and 3D versions of Angry Birds. The picture comments above address the 2D edition, but I also want to talk about the 3D image. In terms of visual quality, the 3D representation fared pretty well. 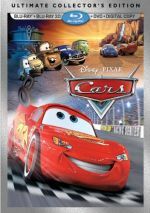 Though a little darker than the 2D rendition, the 3D picture showed strong clarity and color reproduction and appeared nearly as solid a visual representation of the film. As for 3D imaging, the movie’s first hour or so seemed surprisingly restrained. Actually, “restrained” offers an overstatement, as the film still provided a good sense of depth and a few exciting effects, but it didn’t “pop” as much as I anticipated. This changed for the film’s final act. When the birds attacked Piggy Island, the 3D materials jumped out much better and created a more dynamic impression. Those turned the 3D version into a fun experience that added to the movie. 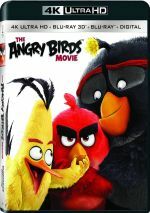 A third disc presents a 4K UltraHD version of Birds. Will I go 4K someday? Yes. Has that happened yet? No. Do I want to mention the disc’s presence here – sure!